While working an office job sure has its benefits, sitting down for most of the day has its risks. Your body is meant to move throughout the day. In fact, a review of 47 studies on the effects of sitting found that “…people who sat for prolonged periods of time had a higher risk of dying from all causes…The negative effects were even more pronounced in people who did little or no exercise.” (1). A 2016 study published in the American Journal of Preventive Medicine estimated that prolonged sitting is linked to 430,000 all-cause deaths in over 54 countries (2). People who sit down most of the day are more likely to suffer from type 2 diabetes, cancer, dementia, and heart disease. Sitting down also impairs sugar and fat metabolism. Plus, sitting down consumes 30% fewer calories than when you’re standing, leading your body to start storing energy as fat. 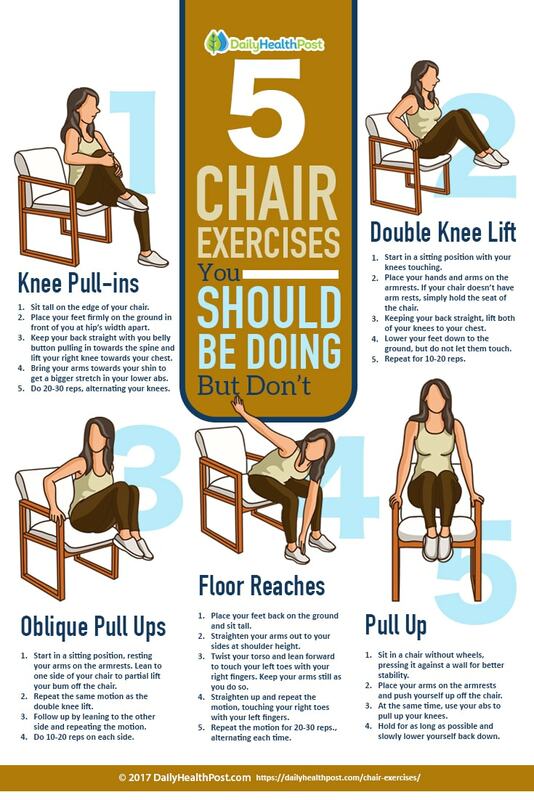 While exercising doesn’t fix all the problems associated with sitting, it does make a big difference in improving your health. So, make sure to regularly get up and move around. 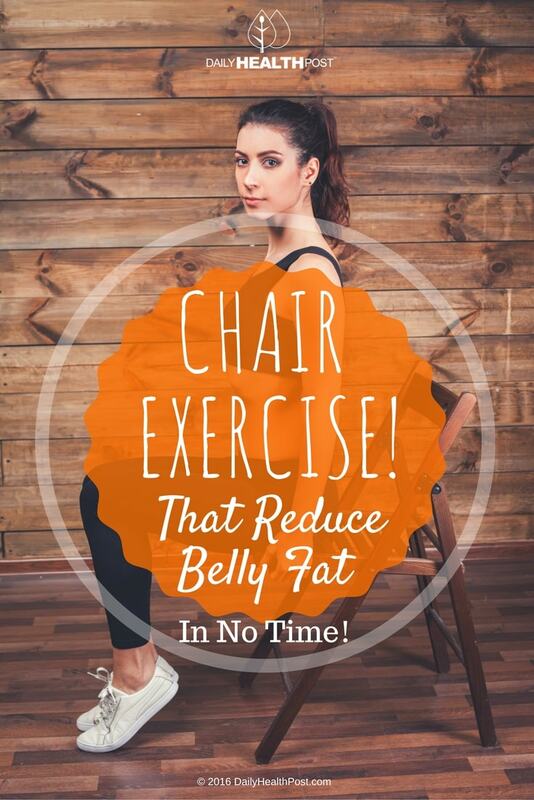 Latest Headlines » Weight Loss » 5 Chair Exercises That Reduce Belly Fat In No Time!